"Scheibenbremsanlage, 62-72 A-Body, 5 x 4,5″ Lochkreis"
Es werden mindestens 14″ Felgen benötigt. 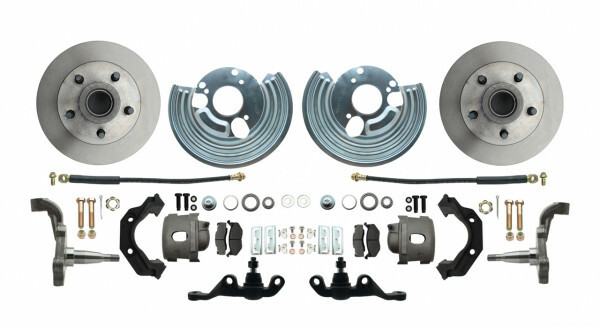 -Our BRAND NEW Dodge A body disc brake kit REDESIGN Features all new parts that does NOT require you to change out your control arms Saves you $$$ 25% or more to be exact! The New Re-Design gives you a bolt on drum to disc conversion.